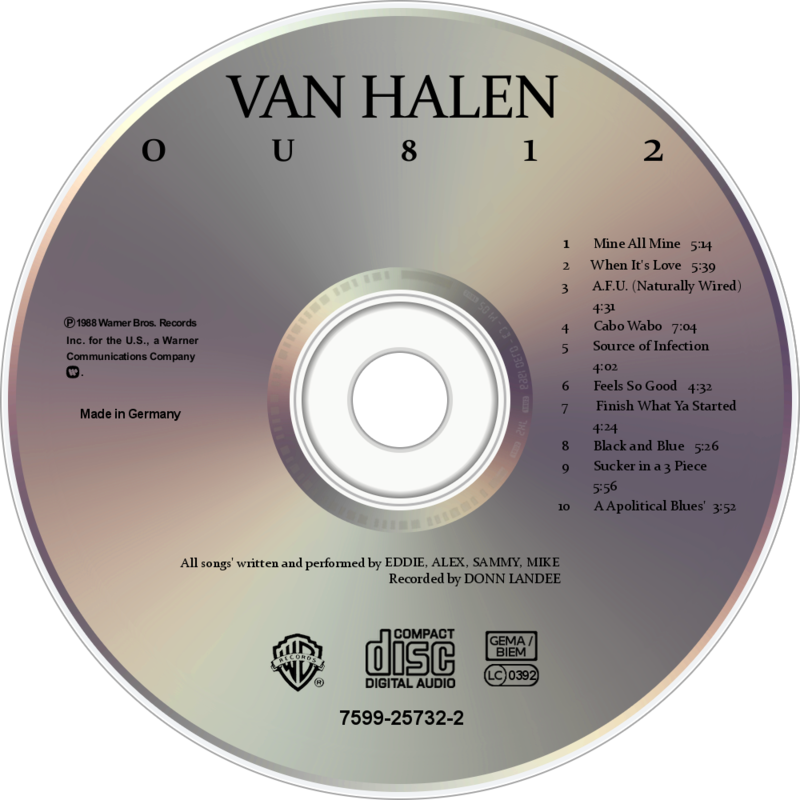 OU812 is the eighth studio album by American hard rock band Van Halen, released in 1988. Its title is allegedly a joke on the band's previous lead singer David Lee Roth's 1986 album Eat 'Em and Smile (OU812 translates phonetically to "Oh, you ate one too?"). However, "OU812" was also seen in the 70s sitcom Taxi written on a wall. The first person to use the phrase was Redd Foxx. Furthermore, "OU812" is the license plate on the red Ferrari that Cheech and Chong drive in Cheech & Chong's Next Movie (released in 1980). Van Halen started work on the album in September 1987; it would be finished in April 1988, just one month before its release. The original European release (as shipped in France, Germany, Italy and the UK) is missing track 10, as are all vinyl pressings of the album. The CD and some cassette versions have track 10. The track listing on the back cover is arranged in alphabetical order, instead of in sequence. The album is dedicated to Eddie and Alex Van Halen's father, Jan, who died in December 1986 at the age of 66. The inner linings of the album include the words, "This one's for you, Pa". Jan had previously appeared playing clarinet on one track, "Big Bad Bill (Is Sweet William Now)", on Van Halen's 1982 album, Diver Down.